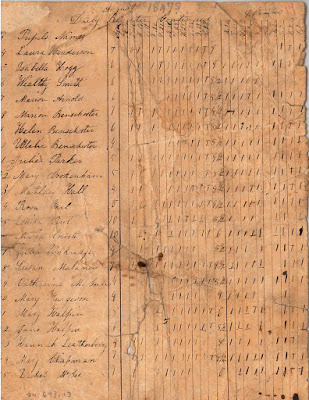 The names of twenty-two female elementary students appear on this attendance register, which dates to August and September of 1847. The youngsters range in age from 4 to 10. In the early 1840s, there were school buildings in Sandusky in the East and West Markets as well as a high school on the public square. Teachers employed for 1846-1847 included these teachers for the male students: A.C. Huestes, A.M. Barber, E.P. Jones, James W. Shankland, and James Evers. Teachers for the female students were: L.A. McElwain, L.M. Jones, D.R. Whipple, L.B. Sprague, A.D. Latscha, M. Strong and E. Brewster. 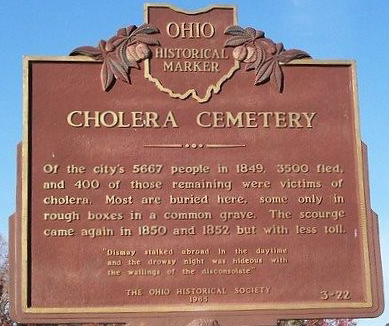 Sadly, at least three of the young ladies who attended school in Sandusky in 1847 died in the cholera epidemic of 1849. Mary Halpin was among four members of the Halpin family to die from cholera. Helen and Marian Benschoter both died on July 28, 1849. 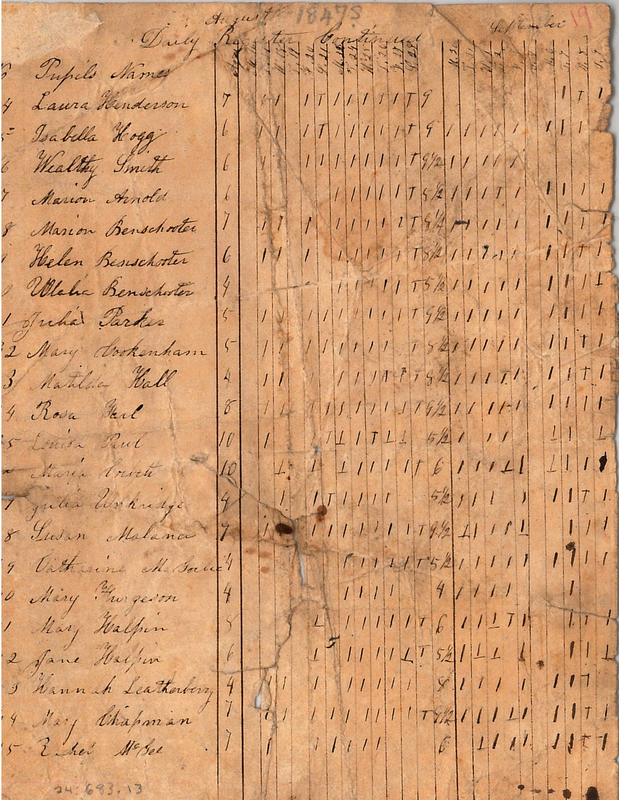 Their sister Eulalia Benschoter, also a student in 1847, went on to marry Captain John Decatur Peterson; she lived to be age 55, and is buried in Scott Cemetery in Huron, Ohio. Sandusky’s first school superintendent, M.F. Cowdery, wrote a history entitled: Local School History of the City of Sandusky: From 1838 to 1871 Inclusive in February 1876. 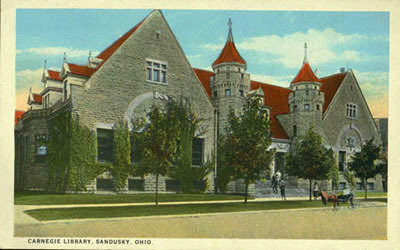 The original item is housed in the Schools Collection of the Sandusky Library Archives Research Center. A photocopy of this document is available for patrons to read.